Sunshine through the windows the weather had improved and the forecast looked good for the next couple of days were we to be lucky this year. 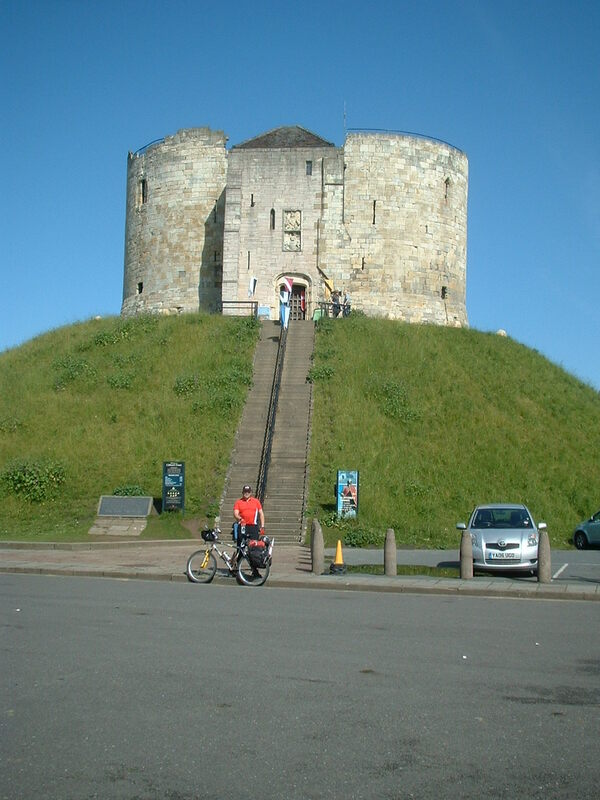 We had a good breakfast and by 9am Graeme and I were packed and bikes loaded as we nosed out into the York streets I had a photo stop as we left the guest house as the Yorkshire wheel was right at the end of the street. Can U see the wheel and the Blue Sky!!!! I asked a couple who were on holiday from London to take a photo of Graeme and myself which they kindly obliged. We cycled down to the Riverside and along to the Millennium Bridge another photo opportunity. As we were stopped a woman crossing the bridge stopped and asked could she do anything for me! I think, well I hope she was trying to assist with directions it made us smile. We dropped down along the other riverbank across the racecourse and onto the Solar system cycle way cycled down along the cycle way to Jupiter to wait for Colin. He was being dropped off at Macarthur Glen Shopping complex by Karen and all he had to do was follow the cycle way from shopping complex to the Solar way? We waited and we waited and eventually from the direction of York the Bishop Bullet appeared. He somehow had got onto the A64 cycled along the road saw the cycle way below so climbed over the fence and down through the undergrowth and nettles carrying his bike to the cycle way. I may add at this point Colin is a great rider and even better mechanic but his sense of direction is nil? Ok the plan had come together we were all together and the ride could commence, once I had a pit stop Thank goodness Colin carries a Toilet Roll, my breakfast was moving. In fact I carried the toilet roll after that? Reason apart from my constitution playing up at inopportune moments, After my first use of the toilet roll I was handing it back to Colin who was just about to take it from me when he snatched his hand back and said no way am I touching that. He had noticed I had somehow contaminated it with some lets say "waste product". Ok I said I will carry it so stuffed it in my pocket, to groans and moans from them two. It was a beautiful sunny morning as we cycled south along the solar system cycle way. Lovely flat riding a few hundred yards south I pointed out Macarthur glen to Colin about 200 yards to the left? In full view of the cycle way. The cycle route ends in the village of Riccall and you cycle through the village following the Trans Pennine trail, as we cycled through Riccall Colin and I had a conversation about trouble free rides, why don’t I keep my big mouth shut, we had just left Riccall and were on the cycle lane alongside the A19 when bang I had a dramatic front wheel blow out. Great, Colin repaired the puncture but on examination of the tyre it had blown a hole in the tyre itself. We taped it together and limped into Selby. With Colin moaning good god I haven’t seen him for months and I have now been in his company 1 hour and I'm Sh***ed up with grease, I said he wouldn’t have it any other way. Thank goodness for the Selby Bike centre. 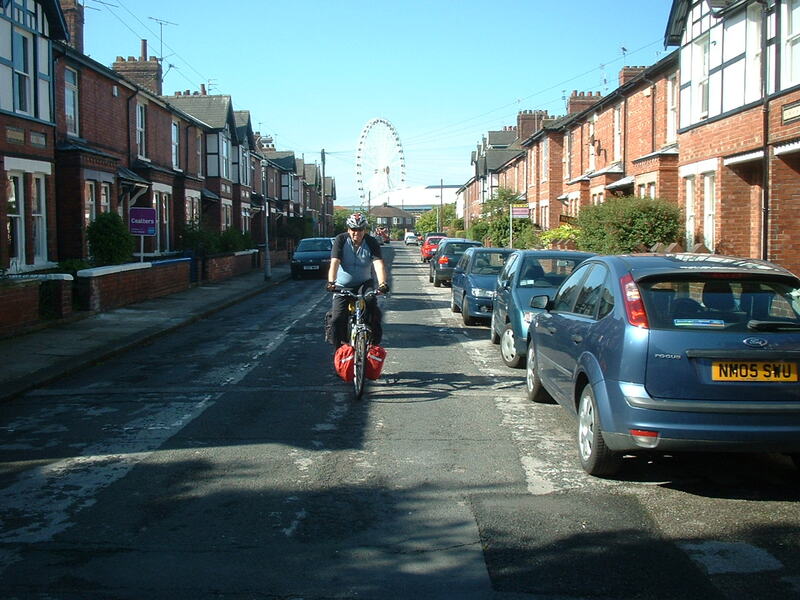 We cycled into the centre of Selby found the bike shop new tyre purchased and Colin replaced and fitted the new one, the old one was thrown on a convenient skip in the alley were we repaired my bike. 1. Graeme’s eyesight was not what it was? Plus he was operating off an old Map? The road along the river bank which would take us to Barlow had been re aligned and several dozen modern flats had been built I suppose it was nearly 10 years since we had last passed by. Plus Selby now has a bypass? 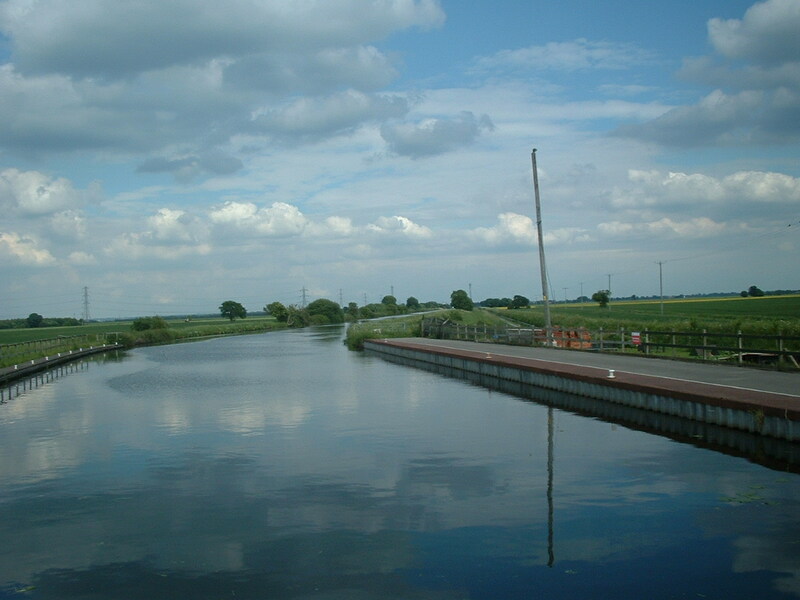 No problem I do have a reasonable local knowledge of Selby so we followed the Canal tow path south out the town which is also the Trans Pennine cycle trail. At the bypass bridge and canal car park we stopped for our lunch break. NO pies today Karen had packed Colin up with bacon sandwiches for all of us. North East lasses always look after their men. 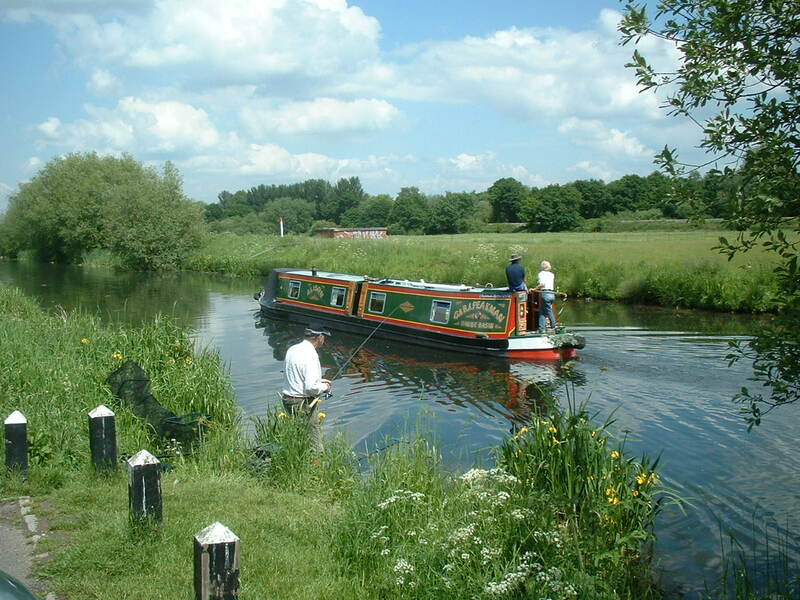 Lovely blue sky, passing narrow boats, fishermen and swans, anyone would think we were on holiday. Now after lunch how do we get back on route, forgetting the bypass a quick road check and we were back on route heading towards Barlow, down via Camblesforth and the quiet lanes to Carlton and the County boundary out of North Yorkshire into Humberside(or the East Riding ) at Snaith crossing the River Aire. We were now on old ground for a few miles and although on the main A road it had a nice wide cycle path to follow. 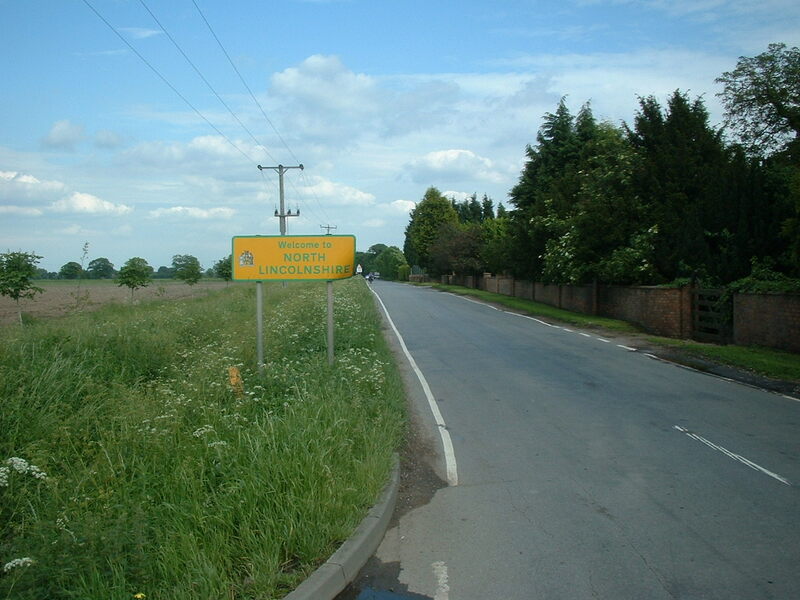 Into West Cowick and down towards Moorends. As we swung down we had to negotiate a couple of Motorway access roads and the Dutch drain so traffic was congested, but it was expected. Thought we had cleared it and Colin and Graeme raced on. However my bike is not running right, O no not again another puncture this time rear wheel. Can you believe it? I pull into a side road and they are out of sight? Sorry boys you are not going to like this, I had to call Graeme on his mobile, tell him what had happened and so they had to come back, Colin up to his elbows in grease again, but I had stripped off the backwheel ready for him, while I was waiting for them to come back. Colin repairs the puncture and soon we were on our way again. Back over the Dutch drain, we swing left onto another quiet road and on our way. Moorends is the next place to pass through not the prettiest of villages we will cycle through this year and it is the only way we can skirt through the Doncaster cohabitation. We cycled through Moorends several years ago on our route North on the Bath to Marton le Moor link (May 2002) and it was not the most pleasant of experiences. However 6 years is a long time and it had had a clean up? New signs welcoming you to Moorends (Gateway to the Moors) this amused Graeme and the Moors are really Thorne wastes? As they are locally known. Down through Moorends we slipped quietly onto country lanes again and pleasant countryside along the side of the canal . Colin snaps Graeme at sign Mal at Sign See the cyclists in the distance? 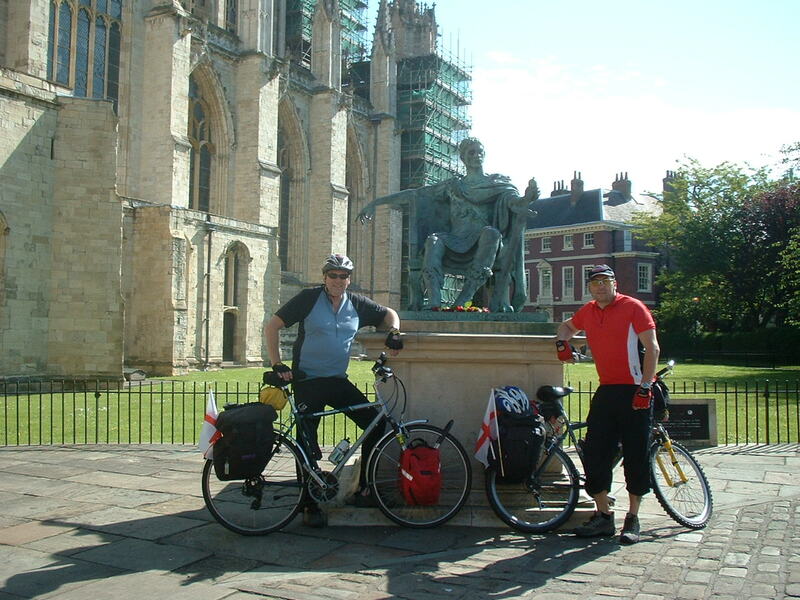 Just a few miles down the road and we rolled into Epworth (the birthplace of Methodism) the home of John Wesley, we had cycled through here before and I forgot what a long straggling place it was. Eventually arrived at the Red Lion Hotel tonight’s halt. A nice place, large bar and airy conservatory. The girl showed me our rooms and then suggested we leave our bikes in the function room. So a shower and change and tidy up and we had a great night in the Red Lion. It was steak night two for one? They even gave Colin’s his meal for ½ price too great food and a great pint of hand pulled Theakstons. We had a stroll round Epworth after dinner but drifted back to the pub for a couple of night caps. Some guy latched onto our North east accents and was pouring his heart out about his ex wife who came from Peterlee. He got the message and went to bore someone else.